Exploration no. 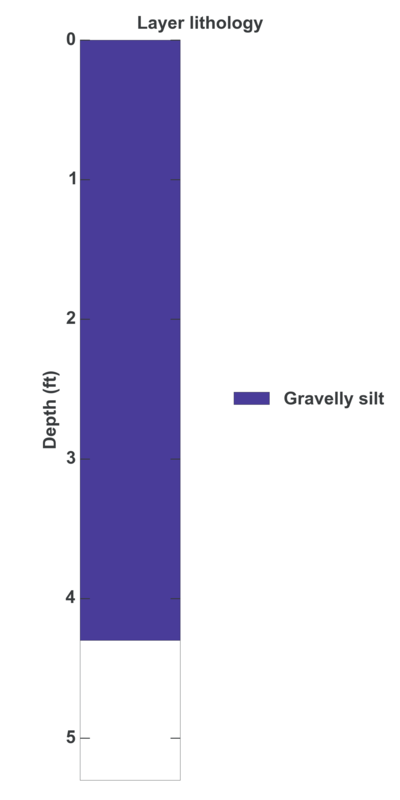 136489 is a Test pit (depth 4.2 feet) named: TP-2 described in subsurface document no. 59679. The document, a report titled Site Evaluation; Parcel 627900105 was prepared by Cowlitz County, Dept. of Building and Planning on 06-26-1996 for a Residential project.